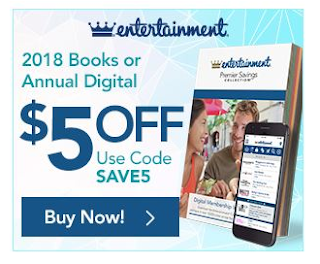 The 2018 Entertainment Books have been released and they all include $5 off plus free shipping when you apply the code SAVE5 at checkout! Printed local coupons in your handy book. Coupons are valid through December 30, 2018. This deal is only good through September 25th.